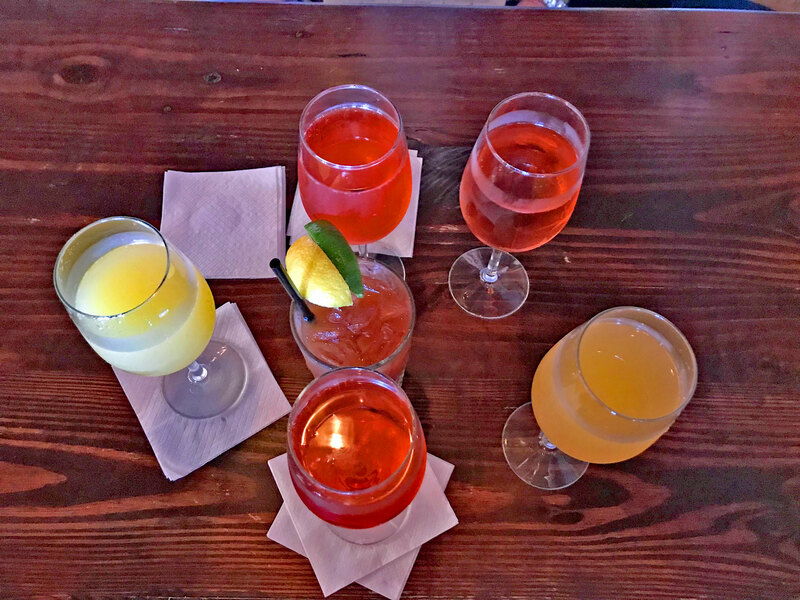 To celebrate the combined birthdays of George Washington and Abraham Lincoln on President's Day, February 19, 2018 we decided to brunch it up at The Galley with four friends. Thank you presidents #1 & #16 for giving us a reason to drink on Monday morning - instead of #45 for a change. (Sorry, I couldn't help it.) Brunch is served Saturday & Sunday (and Holiday Mondays) 11:30 - 4:00 pm. I was the sole $5 Bloody Mary drinker, and everybody else had the $3 Mimosas / Poinsettias. The Vibe at The Galley is so chill, relaxed, fun, and friendly. All of the staff sincerely seem like they are your best friend and are so happy that you are there. That's a great reflection of owners and St. Pete natives, Pete Boland and Ian Taylor—two of the nicest guys you'll ever meet. The Galley bills itself as "A St. Pete Tavern", but this ain't no bar food. This is fresh, local, tasty eats with just a little bit of flair. If you leave here hungry, it's because you didn't order any food. 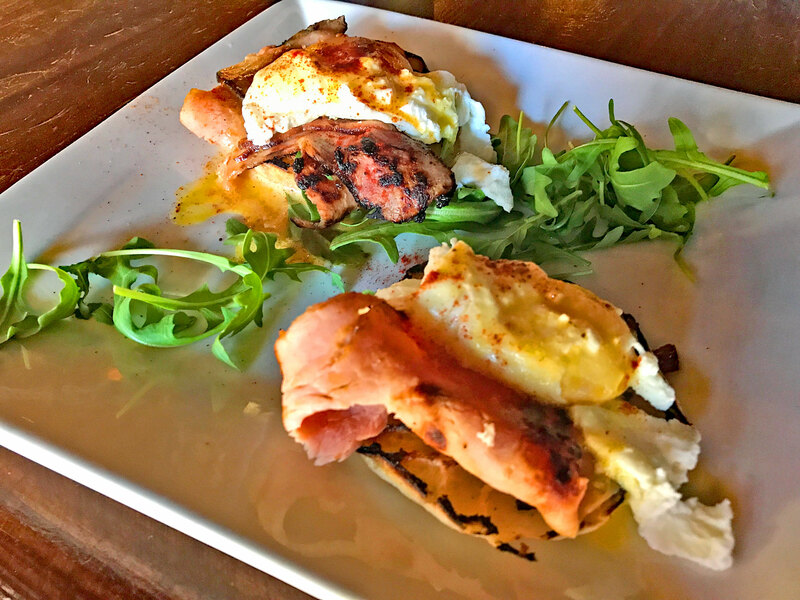 I love traditional Eggs Benedict, but I also always like trying the other versions. Another one of my favorite breakfast places recently discontinued their Crab Eggs Benedict, so I was happy that The Galley has one. The Galley does it different than the other place that did a traditional E.B., just replacing the Canadian Bacon with crab meat. The only bread with The Galley's is what is mixed in with the crab cakes. That's right, it's not just crab meat, but crab cakes as the base with the rest on top. It was damn good too. T.B. 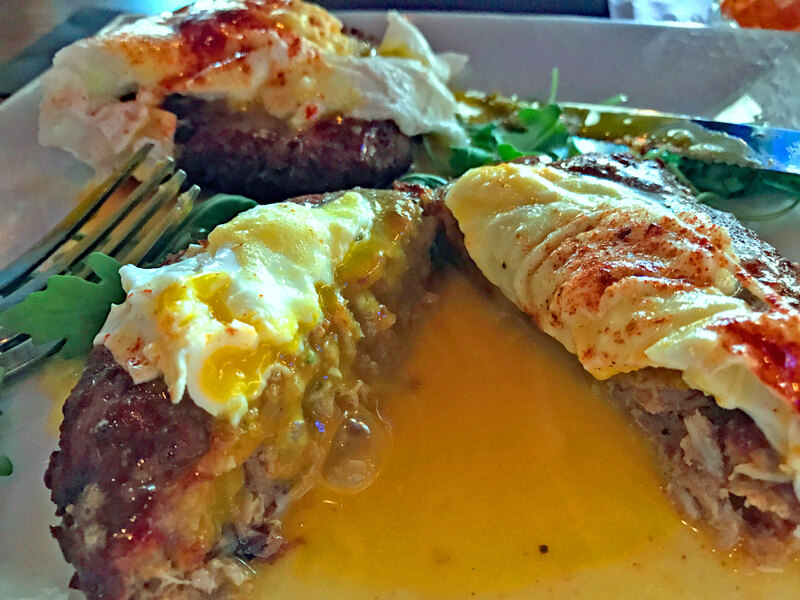 Crab Benedict - Two jumbo lump crab-cakes topped with poached eggs and Old Bay Hollandaise. Let's slice into this deliciousness! Staying on theme, let's check out the traditional version, which The Galley pulls off quite well too. 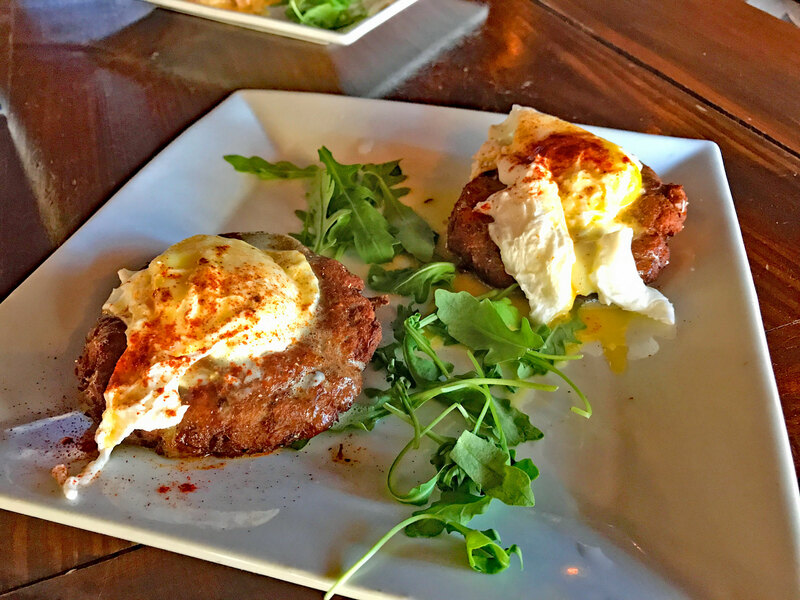 Standard Eggs Benedict - Tavern ham & poached eggs with house made Hollandaise on a crispy, crunchy english muffin. My girlfriend / fake wife (everyone thinks we're married, but we don't want to ruin a good thing), Lori, is a total carnivore. (I'm so happy about that.) She would eat steak for breakfast if she could. Oh wait. She did. 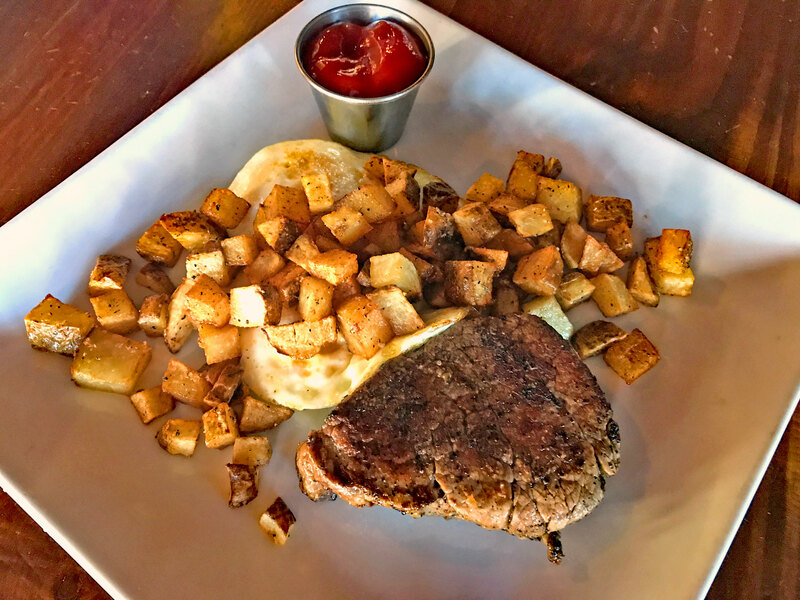 Filet Steak N Eggs - with beef tenderloin, 2 eggs & a side of breakfast potatoes. The steak was perfect, tender, moist, tasty, and perfectly cooked to a medium rare temp, slightly more towards rare, which is what we love. 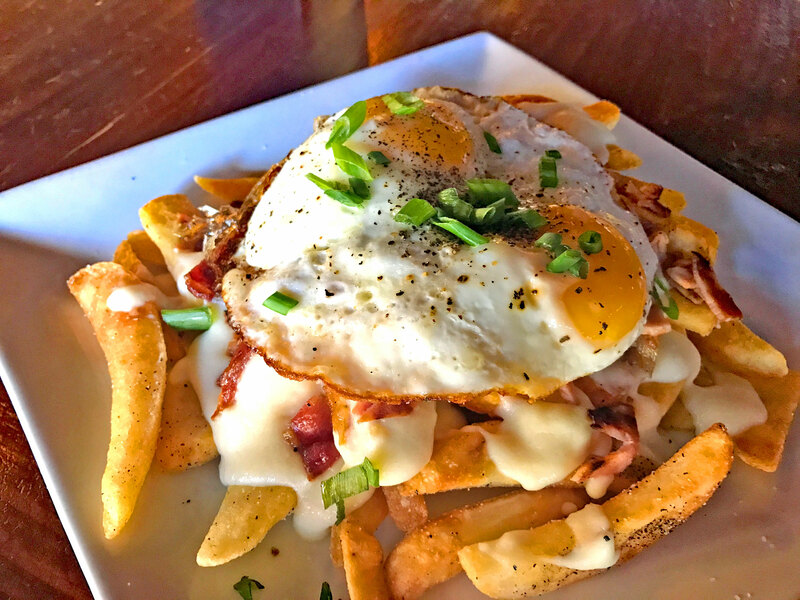 The last two guys in our party said, "My daily routine includes Breakfast Poutine!" 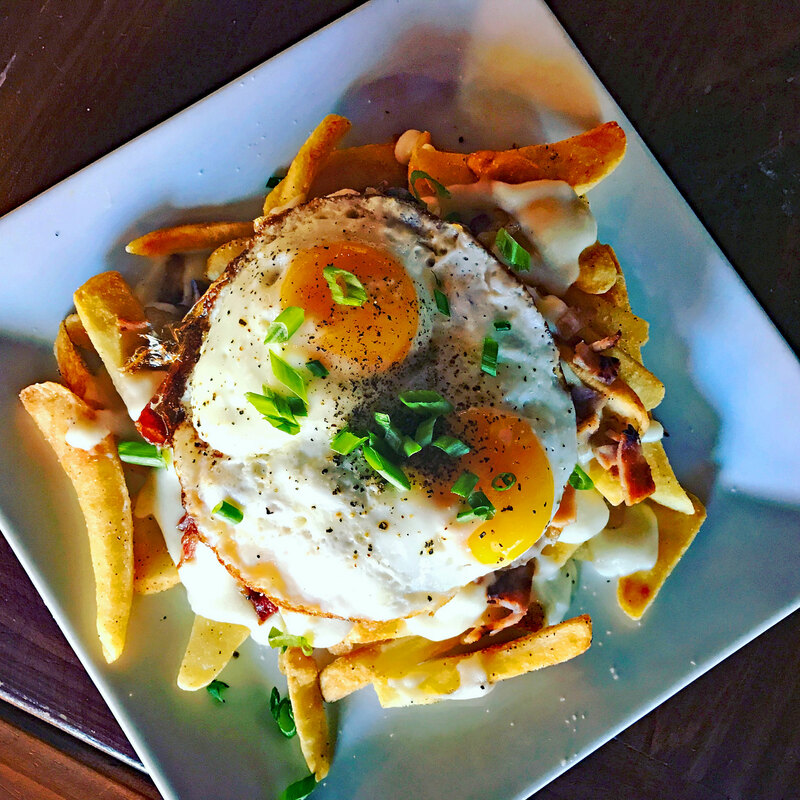 Breakfast Poutine - Steak fries smothered in Béchamel and topped with ham, bacon, chives and 2 sunny side up eggs. The Galley is a mandatory addition to your regular brunch spot stop list. 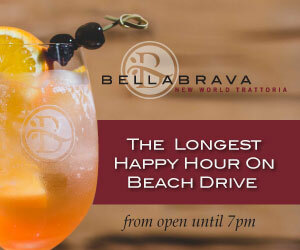 Tell them St. Pete Foodies sent you to get a free hug. The Galley is a great, fun, nautical-themed bar with amazing food. 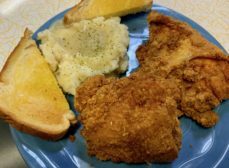 The cuisine is fresh Florida style with some Irish pub influences thrown in to make for excellent eats!